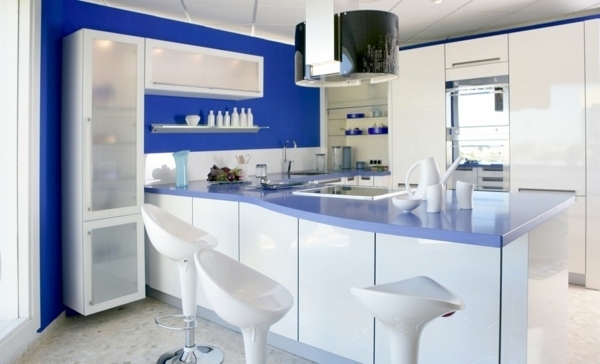 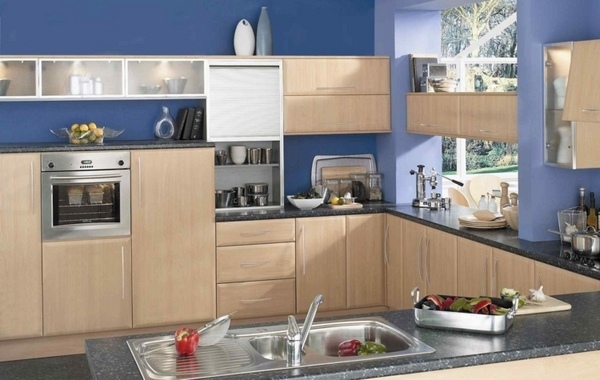 Choosing the right color for the kitchen can be a difficult task. 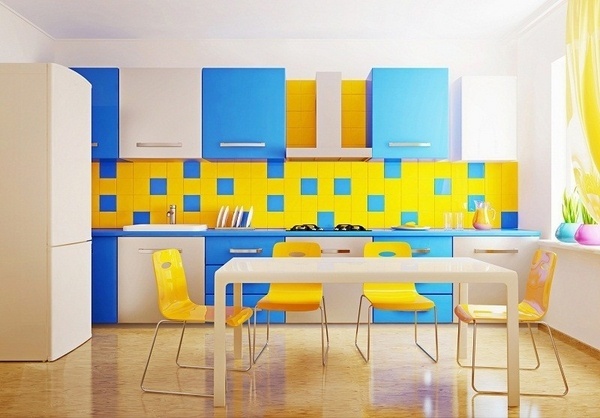 Most people love bright colors and want to achieve an intense effect, but somehow you’re never sure if the cabinet fronts and the selected shade of wall color will match. 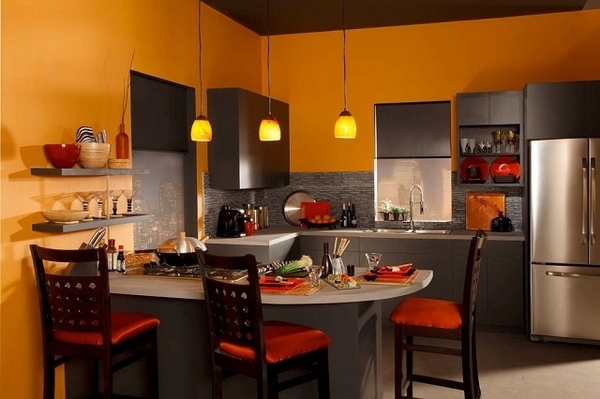 We have some interesting kitchen paint ideas and tips how to add color accents. 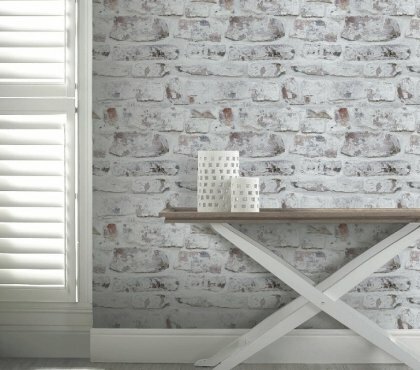 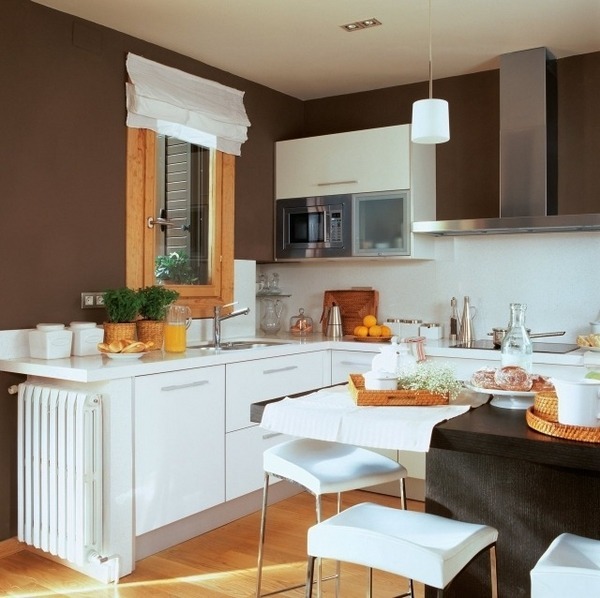 Nowadays, monochrome interiors are highly popular. 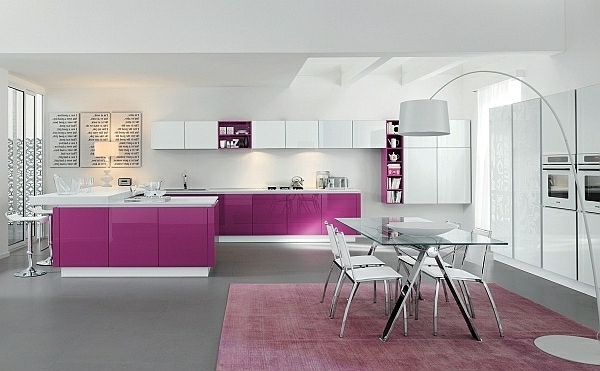 The simple lines and beautiful form of cabinets can be easily matched with the wall color. 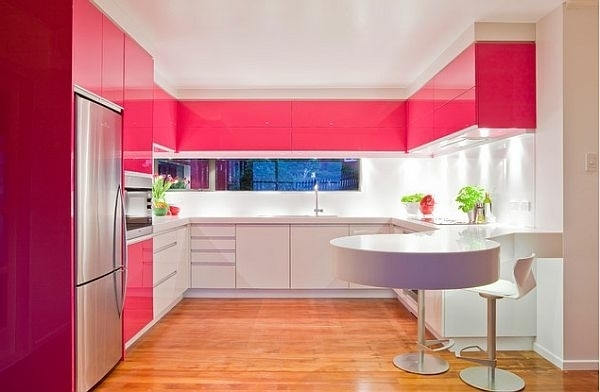 Actually, kitchen paint ideas will show you how a great effect is achieved by using contrast colors. 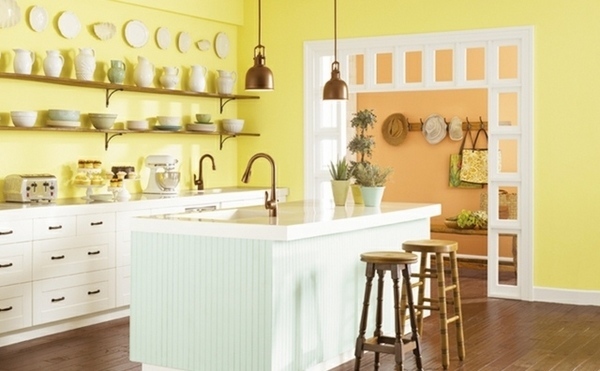 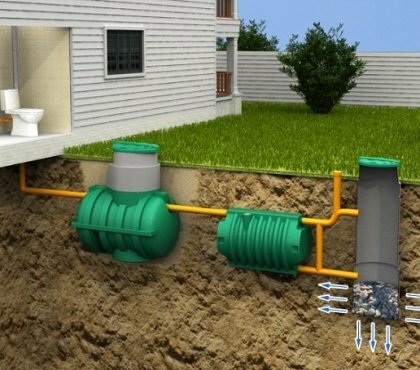 You may not be a fan of bright orange or green and this is not a problem. 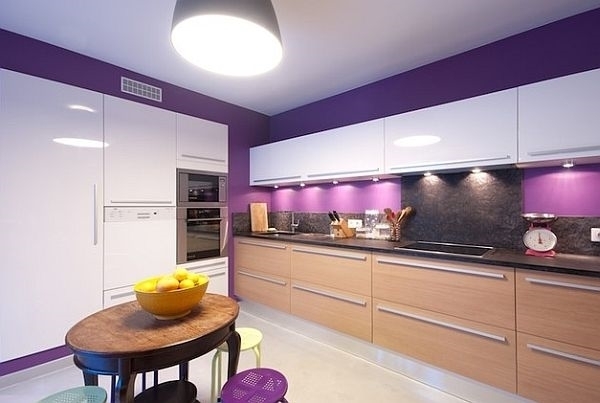 Muted shades and pastel colors will also change the atmosphere and make you feel comfortable. 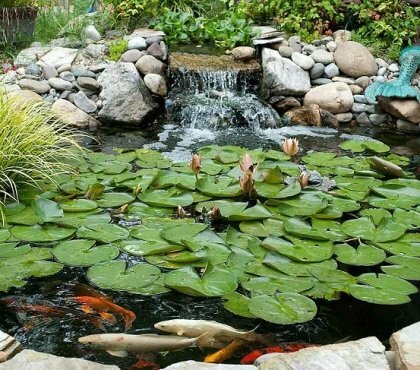 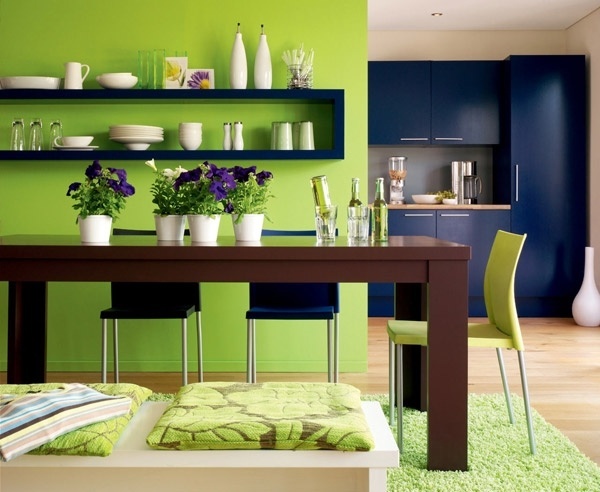 Those who opt for a contrast color can try olive, lime green and turquoise blue which are a very popular choice. 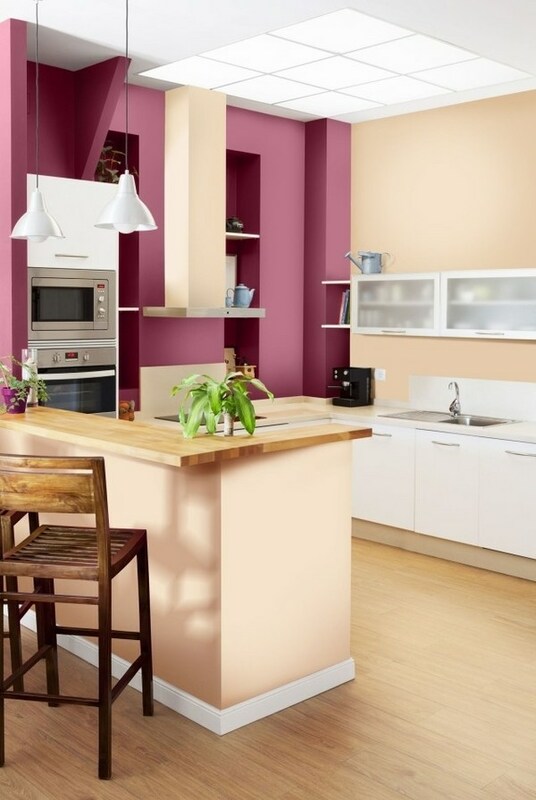 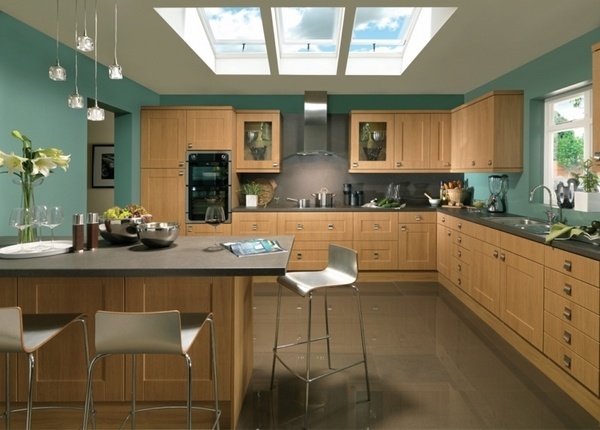 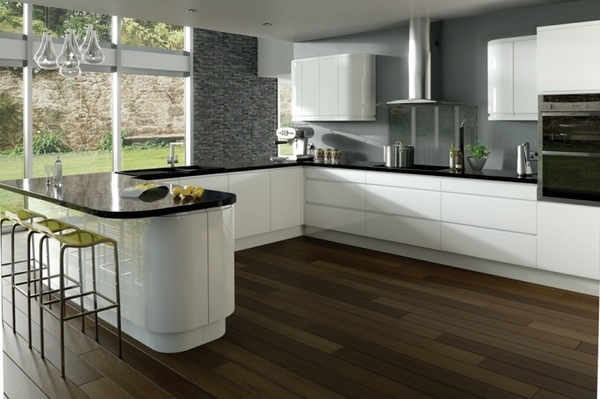 Colors like chocolate, taupe or gray will make your kitchen look really contemporary. 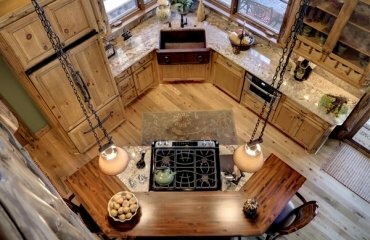 The open floor plan which combines the cooking with the dining area is something that we see more and more often. 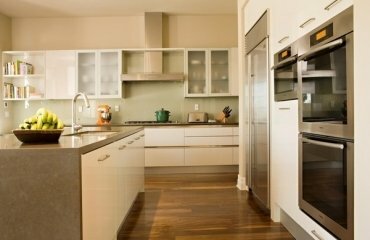 It looks airy and inviting and with the appropriate kitchen paint ideas and the right color palette the space can look bright and stylish. 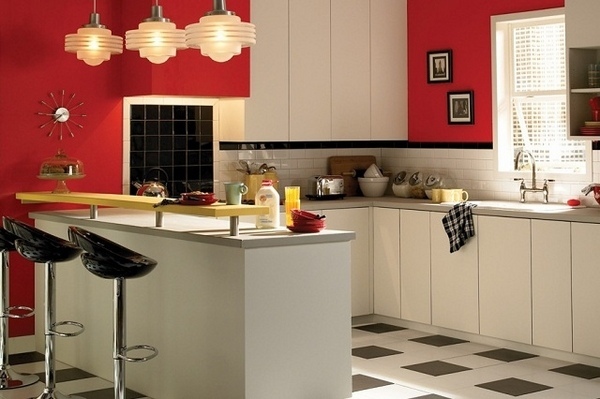 Modern minimalist designs are often using red and white. 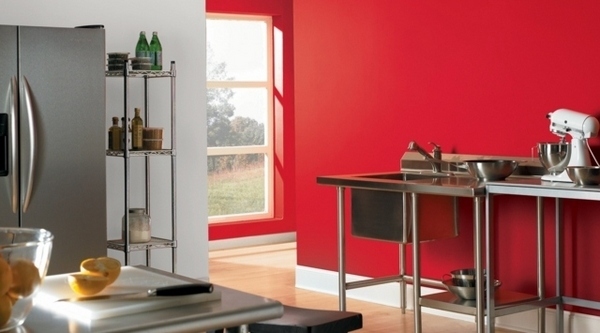 The accent wall in red is the perfect background for an industrial style design with stainless steel fronts as well. 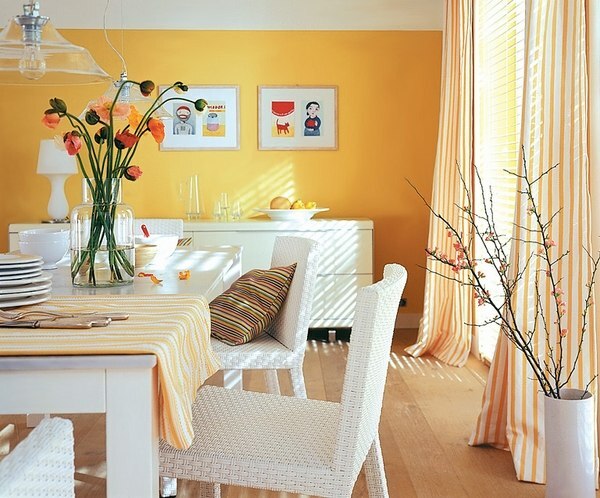 Yellow is a magnificent color – even small and dark rooms immediately feel open and airy. 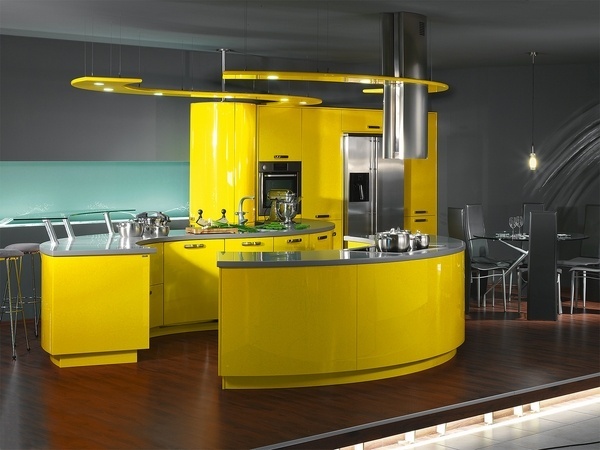 You can choose between painting the walls in yellow or buying a modern yellow furniture. 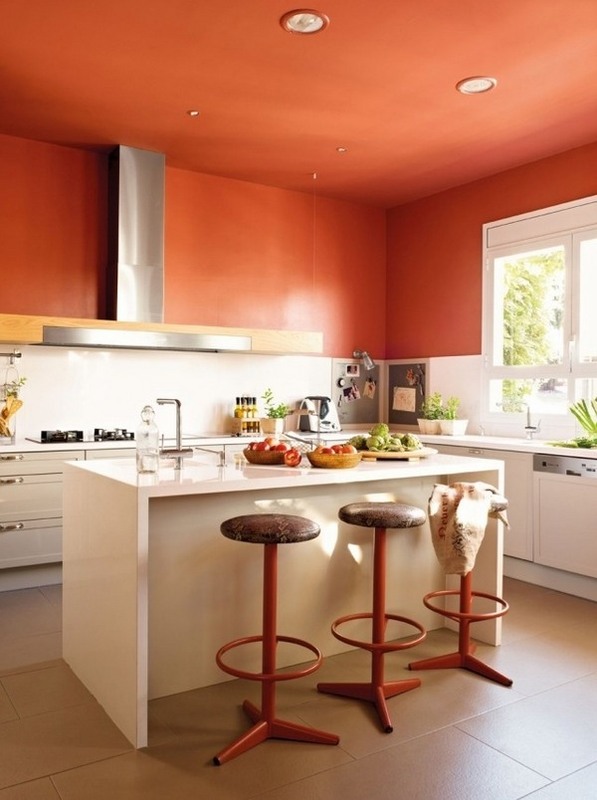 Soft orange walls have the same effect and add warmth to the room. 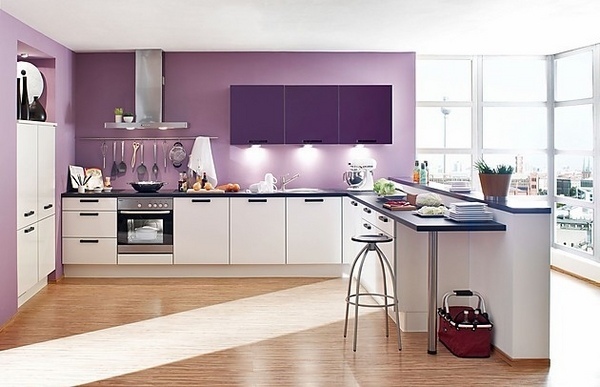 Tender lavender shades are calming and very chic. 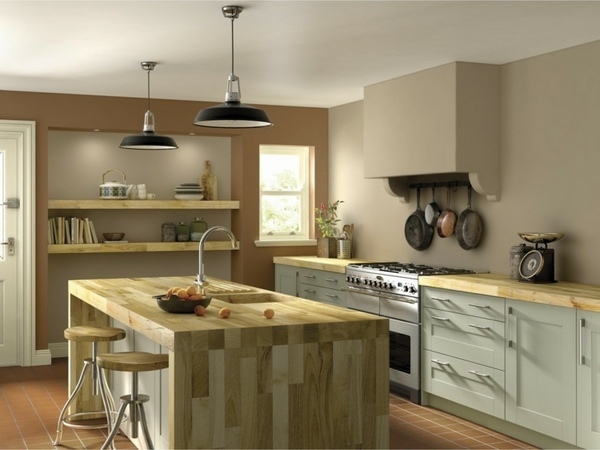 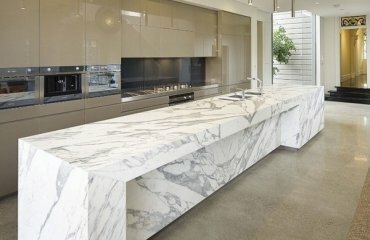 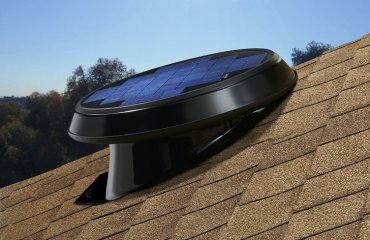 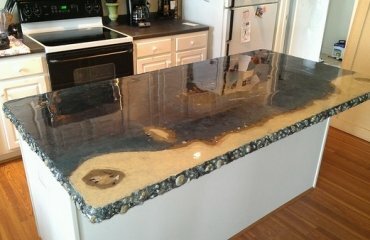 How to choose the right kitchen table for our home?